Two paintings by Ernst Ludwig Kirchner and Oskar Kokoschka that have recently been restituted by museums to the heirs of the renowned Jewish art dealer Alfred Flechtheim are to be sold at Sotheby’s in New York on 12 November, a spokesman for the auction house says. Kokoschka’s portrait of Joseph de Montesquiou-Fezensac (1910) was restituted by Sweden’s Moderna Museet in September. The Solomon R. Guggenheim Foundation in New York announced in October that it would return Kirchner’s 1915 painting Artillerymen to Flechtheim’s great-nephew, Michael Hulton of San Francisco, and Hulton’s U.K.-based stepmother, Penny Hulton. Each work carries an estimate of between $15m and $20m, says Darrell Rocha, the director of Sotheby’s press office for the Americas. The Kirchner work was painted immediately after the artist was released from military service in the First World War—a traumatic experience that was to haunt him for life and caused him anxiety and depression. The Kokoschka portrait is of a patient at a sanatorium in the Swiss Alps, which the artist visited in 1910. “Both works are striking embodiments of the momentous changes developing in visual art throughout Europe at the time, and, as we can see with the Kirchner in particular, a tremendously palpable sense of angst during the beginning of the First World War,” Lucian Simmons, Sotheby’s worldwide head of restitution, said in a statement. A pioneering dealer and magazine publisher, Flechtheim was a flamboyant figure whose Weimar-era Berlin parties were legendary. He was one of the earliest collectors of Pablo Picasso in Germany and represented Paul Klee, George Grosz and Max Beckmann, as well as the French Cubists. After Hitler seized power, he became the subject of several hate articles in the Nazi press and running his galleries became impossible. “I have to get away from here,” he wrote in a letter. “I can’t run a business any more here in Germany.” He fled first to Zurich, then Paris, and then London, where he died in 1937. His Dusseldorf gallery was liquidated and his private collection sold. 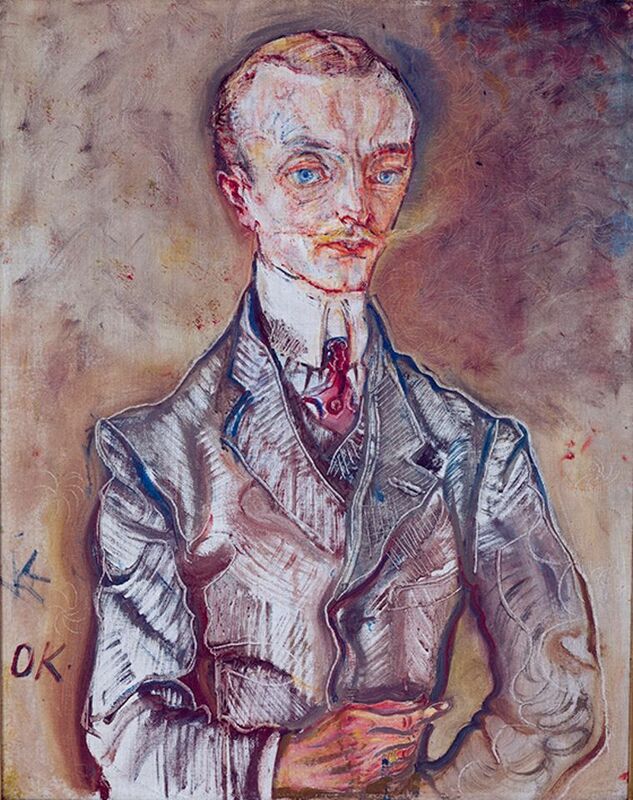 The Kokoschka painting was sold by his former employee in Dusseldorf, Alex Vömel, a member of the Nazi party who profited from his employer’s plight. The Kirchner painting was left in Germany in the possession of Flechtheim’s niece, Rosi Hulisch, and then was acquired in 1938 by Kurt Feldhäusser, a member of the Nazi party.